Scroll to the bottom of page for a wildlife slideshow. We acknowledge that some of these sightings may include wildlife that are not confined to our property but are present in other parts of the Moggill Pocket. There has been a disappearance of fireflies (glow worms) that, in our first 2 years of living here, sparkled at night under the large ficus virens. There also used to be large dark moths that gathered in a dark corner of the verandah – they may still be present but not in droves as was the case in the early years of living here. It’s pretty special to have Red Bellied Black Snakes. They disappear at the first hint of humans and no-one has been bitten in the years we’ve lived here. 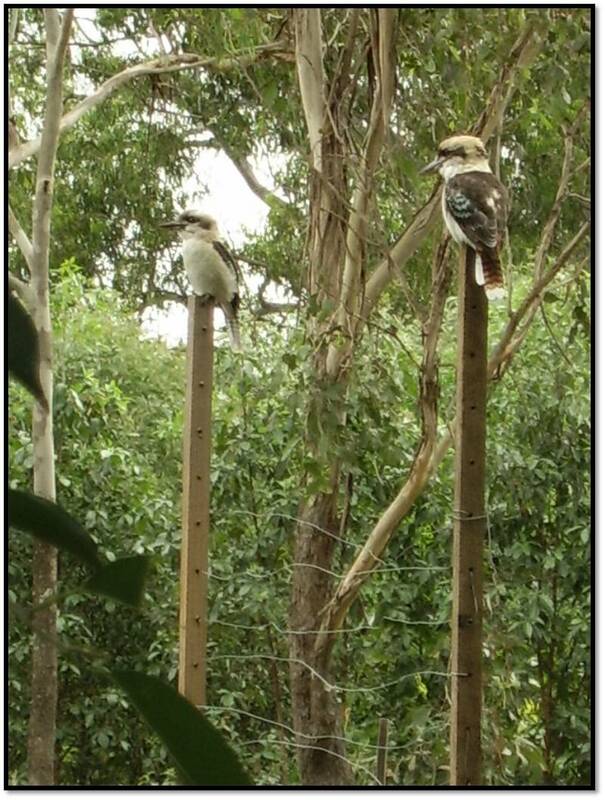 Perhaps the birds, such as Kookaburras, keep them under control. So we tell everyone who visits that they can relax!